Written by Neil Sneade on 8 Dec 2017 in Juniors. Last update on 15 Nov 2018. 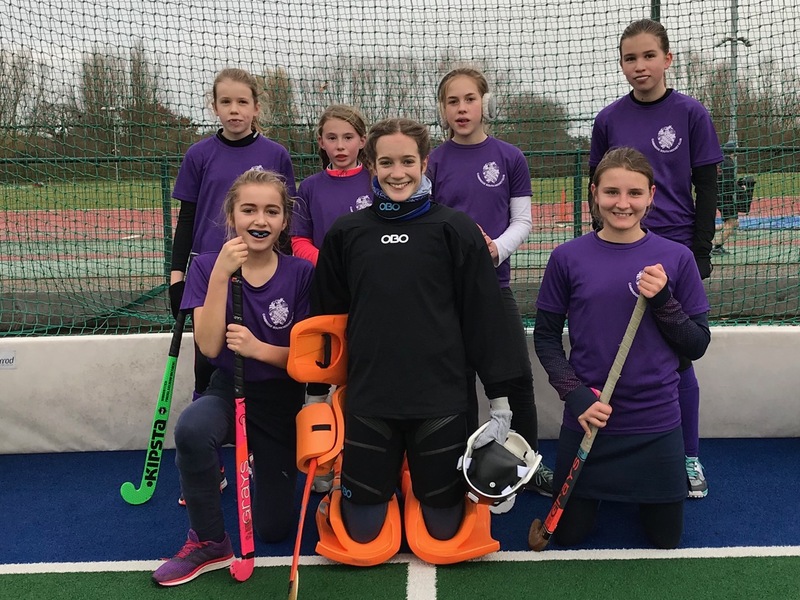 After the debut last month of our Girls’ U14 side, last Sunday marked the first games for South’s Boys’ and Girls’ U12s and Mixed U10 teams. South were the hosts for a round-robin of games with Cambridge City, March and Wisbech. As a prior booking meant Long Road was unavailable, we were compelled to travel across town to the Wilberforce Road pitch, carrying a load of goalie kits, bibs, cones, balls, sticks etc. with us. With four clubs and four age categories, including a Mixed U8 group, the timetabling was looking very tight if everyone was to play everyone else. Fortunately/unfortunately, City proved to be the only club with a Mixed U8 team and the resulting reduction to three age groups meant that all matches could be comfortably accommodated. The conditions on Sunday morning were grey, slightly damp, but not too chilly (for December) when the teams assembled at 10.30, the South players all looking very smart in their club shirts. Jack, Neil and Jonny arrived early to get the goals and pitch markers set up, followed shortly by James. The day opened with the Boys’ U12 7-a-side matches on one half pitch, while the other half was divided into two pitches for the Mixed U10 5 (or 6)-a-side games. Jack, James and Jonny divided the tasks of organising the teams and helping umpire the games between them, while Neil patrolled the pitch with air horn in hand, signalling the start and end of the games to keep to the tight timetable. 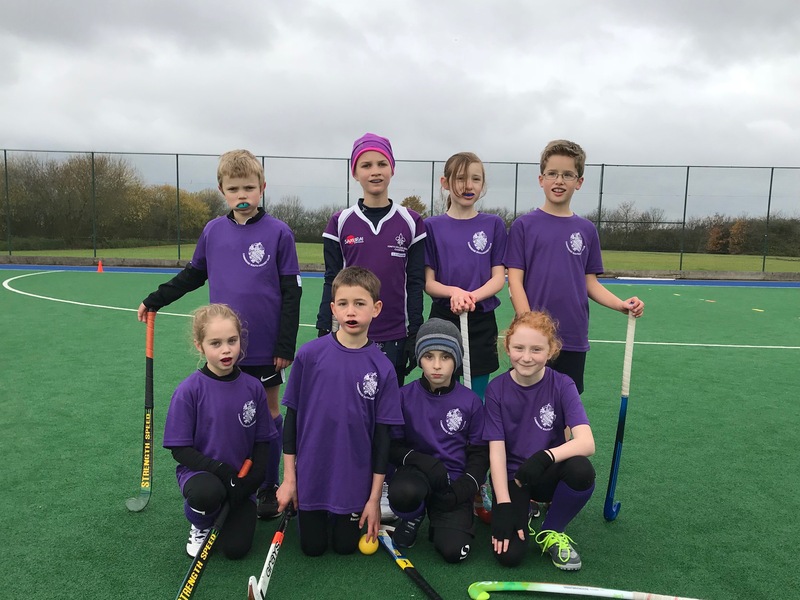 The South Mixed U10 team had a good squad of eight players, four boys and four girls, which were well-used as they played four fifteen minute games back-to-back against City’s two teams as well as March and Wisbech. The play was energetic and competitive, with plenty of dribbling, tackling, passing and even a few goals! On the other side of the pitch, the Boys’ U12 team was somewhat understrength with only five players available. Fortunately, we were able to borrow a spare player and goalkeeper from the other teams to complete the side. The matches, against more experienced teams, were a steep learning curve for the South debutants but some good passages of play and individual skills were demonstrated by all of the players. Three games of twenty minutes without any substitutes was a challenge, but fortunately the team had a game off between each fixture to rest and recover. With the completion of the Boys’ U12 and Mixed U10 fixtures, the second half of the event was turned over to the Girls’ U12s, both half pitches being in use for the 7-a-side matches. The five teams, including two from Cambridge City, played each other in fifteen minute games. Dani and Lauren arrived to reprise their management partnership from the Girls' U14s' debut, while South’s squad of eight, although probably still the smallest there, allowed the luxury of a substitute. As with the boys’ side, having never played a game together before the South team took its time to find its feet, but the willingness and effort was never in doubt and the team improved noticeably from match to match. For the teams’ first ever matches, there was plenty to take encouragement from. 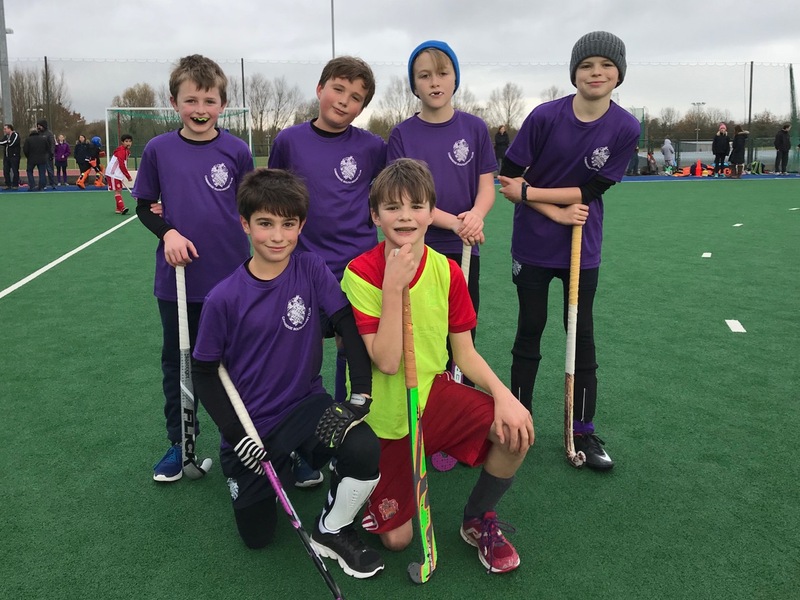 All teams showed marked improvement over their fixtures as they began to get to grips with playing together, and undoubtedly will be stronger in future games for the experience. With each team having an hour of match time, we definitely hope to welcome more players to share the running in future! Well done everyone though, on a great debut.